Baby Believers is a bright, loving God-filled place for kids from 3 months through walkers. Our nursery provides a caring, clean, safe, and nurturing environment. Here at Faith Life, your baby is precious to us and your child will be cared for by a loving and caring staff. In Tot Believers we want to cultivate the proper spiritual development of your child on their level of understanding. We count it a privilege to impart the goodness of God into the precious life of your young one. Every Sunday, your little one is taught about the goodness of God and how much Jesus loves them with age-appropriate lessons, songs, hands on crafts, and a loving environment. PowerHouse kids is the Elementary program at Faith Life Family Church. It is a kid focused , faith and virtue driven, Bible-based program. It’s a perfect place for your child to make new friends and to build their faith in the word every week! 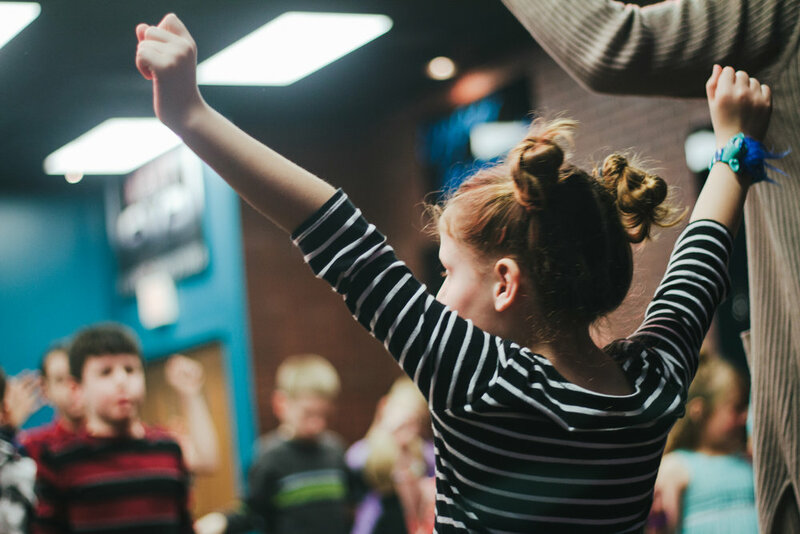 Surge provides 4th-6th graders with multi-media relevant ministry, group games, and activities that are specifically suited to their age level and interests. They will learn to use their faith and put their faith in action, to be able to understand giving and receiving, and how to get answers to their prayers. Children's Ministry is provided from 3m - 5th grade during our 10:30am Sunday service. They will be cared for by loving and caring team members. All of our classrooms are staffed by members who have undergone a background check and have been approved by our Pastoral Staff for ministry in this area. Parents, we invite you to visit your child's classroom before any children's service to meet our teachers and see the care they give to your children. Children's classrooms open 15 minutes before the start of each worship service. Parents are given a security tag when checking a child into the classroom and must be presented in order to pick up a child; no child will ever be released without the parent presenting their security tag. Emily a graduate of Rhema Bible Training Center and a first year graduate of In Christ International Bible College. Her husband is in the Air Force Reserves and they have two boys who keep them on their toes. She has a passion for kids to know who they are in Christ and the power they have within them through Christ. Her desire is to see kids cultivate a love for His word and to worship our Lord.